We are delighted to host performances by Duo Sapphire at the 2018 Moisture Festival. Saffi Watson has astounded our audiences for some years now with her contortion and other presentations and now she brings a partner, Saan Popovic, for a duo aerial presentation. Saan and Saffi are great friends. 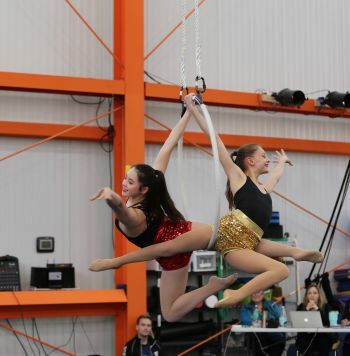 They train at the School of Acrobatics and New Circus Arts, and are excited to be going on the Circus Smirkus Tour this coming summer!